While private businesses rely on the sale of goods and services to finance their operations, nonprofit organizations rely almost entirely on the generous hearts of their donors. Even so, it’s easy to get swept away with planning the perfect fun event or donor-recruitment marketing. However, most of the revenue for nonprofits is obtained through major gifts from heavily stewarded veteran supporters. Therefore, in order to reach your fundraising campaign goals, you’ll need to focus your efforts on reaching these supporters. Fundraising consultants are nonprofit professionals who know how important it is to organize and execute campaigns with these donors in mind. Therefore, relying on them throughout the process can drastically help your nonprofit make the most of your campaign and save money while doing so. Create an effective fundraising plan. Let’s dive in to see how hiring a fundraising consultant can help drive your nonprofit toward success! 1. Develop fundraising goals with the help of a fundraising consultant. The first step in creating a successful fundraising campaign for your nonprofit is developing effective fundraising goals. These goals should be specific to the project your nonprofit wants to achieve and to your plan for getting there. This SMART method was outlined by George Duran in 1981. Since then, it has been incorporated into fundraising goal-setting for nonprofits everywhere. Why? Because it’s been shown to be effective throughout all the years. Advice from a fundraising consultant can reinforce these goals and ensure they’ll be sufficient for your intentions. This is especially important when your nonprofit plans to launch a major fundraising effort like a capital campaign. 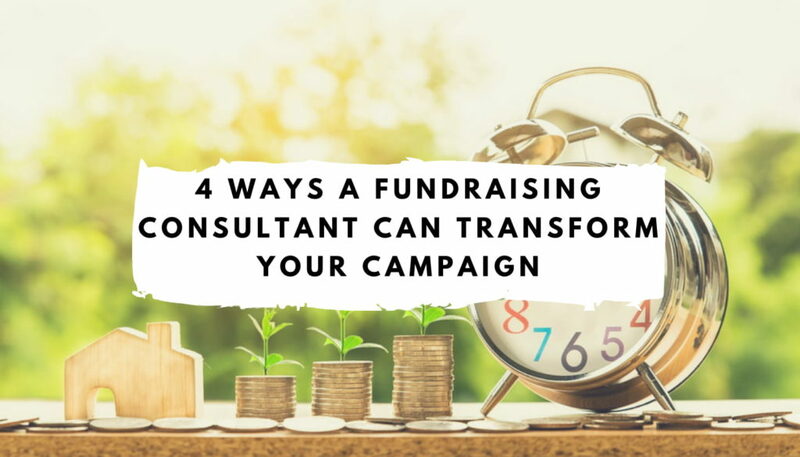 Fundraising consultants can reassess your fundraising strategy and make adjustments to meet your needs for these types of campaigns. They’ll make sure your goals are effective, then dive into launching a feasibility study for the campaign. For more information about hiring a consultant specifically for your capital campaign, check out Aly Sterling Philanthropy’s guide to hiring a capital campaign consultant . 2. Your fundraising consultant can take you through a feasibility study. Feasibility studies are used by nonprofits to determine if campaign goals are within reach and whether or not the project is compelling to major stakeholders. Let’s dive a little deeper into each of these ideas. Is your goal within reach? Your nonprofit’s complicated budget is further convoluted when you try to launch a fundraising campaign. How much money can you put toward the campaign? What fund is the money allocated from ? How much revenue will you need? How much your nonprofit should expect to raise. Whether your nonprofit has a strong enough fundraising program to support the campaign. Which funding sources would most directly finance the campaign. 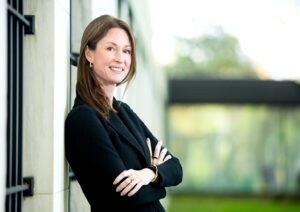 In this way, your consultant will use the results of the study to help you determine the feasibility of your campaign. How do stakeholders view your organization? Is the project perceived in a positive light? Is the timing of the project strategic? When you work with a consultant, your study will ask questions that measure interest levels, and also get your stakeholders excited about the project. These stakeholders are likely to be some of your largest donors for the project. They are also valuable friends that you cannot afford to lose. So ensuring their approval of your project is an important step to launching a successful fundraising campaign. 3. Create an effective fundraising plan with the input of a consultant. Your fundraising campaign will be most effective when you have an effective fundraising plan to go with it. Your fundraising consultant will help you do this to best accomplish your goals. This type of chart defines small objectives that will help you achieve your overarching goal. A goal chart can guide a single campaign or your overall approach to the fundraising strategy. Include important KPIs and the challenges to achieving them on this chart. A budget can be used to organize a specific campaign as well as your annual fundraising strategy. This budget should include your sources of income, estimates from each source and expenses. Shape your estimates based on past fundraising budgets. A fundraising calendar marks important dates for your fundraising campaign from beginning to end. Be sure to record the dates of budget meetings, board meetings, conversations with key stakeholders, events and more. Your gift range chart identifies the necessary gifts you need to reach your ultimate goal. It defines the number of gifts and number of prospects you should have for each gift amount. This chart should increase in donors and prospects as the gift amount decreases. Use your fundraising CRM to get a jump start on these prospects. Your nonprofit’s case for support provides compelling detail for giving to your organization. Every case should include your mission statement , a short history of your organization, programs and impacts and need for funding. Campaign cases should include the need for the project, project budget and details and projected benefits of the project. Don’t forget to ask people to give! Then, make it easy by providing an online link and printed pledge card and return envelope. With a complete portfolio of resources, your nonprofit won’t get lost in the execution of your campaign. You’ll have both hard and soft deadlines outlined in your calendar to ensure you complete each step of the campaign in a timely manner. If a prospect doesn’t want to give at their optimal amount, you can drop them down a level to the next highest gift amount. No matter what happens, your nonprofit will be ready for it. To see how your campaign plan fits into your nonprofit’s overarching strategy, take a glance at Qgiv’s guide to creating a nonprofit development plan . 4. A fundraising consultant can help you implement your plan. Once you have your plan in place, it’s time to put it into action. While some organizations choose to go for it alone after the planning phase, others keep their consultants on during implementation to avoid common mistakes and make sure everything runs smoothly. Your fundraising consultant can help you decide how to delegate tasks among departments, ensure your budget is applied effectively and identify roadblocks early in order to better overcome them. During the quiet phase, you focus on securing major gifts from your donors. This is completed through direct outreach, so the general public is not yet aware of your fundraising campaign. During this phase, you should collect the majority of the necessary revenue for your project. This marks the end of the quiet phase of your campaign because it’s when you make the announcement to take your fundraising public. This kickoff is designed to raise awareness of your efforts. From there, you can move into the public phase. During this phase, your nonprofit reaches out to your entire donor base for support. At this point, you should be focusing on the remaining 30-50% of donations needed to reach your goal. Once this phase is over, you’ll have reached your ultimate fundraising goal. While stewardship is an ongoing process for nonprofits, you should make some specials efforts at the end of your campaign to acknowledge the supporters who helped you reach your goal. Stay in touch with donors past the point of the public phase. They may become recurring donors or even major donors in the future. If you’re not launching a campaign, your timeline may look different. Either way, it’s a good idea to follow a plan and stick as closely as possible to your fundraising calendar. However, if you do get off track, re-adjust the calendar and keep moving forward. Maintaining a steady relationship with your fundraising consultant through the implementation of any campaign or fundraising effort will help your nonprofit take advantage of all opportunities. Whether you hire remote or local, consultants bring a valuable professional and outside perspective to your next fundraising campaign. This outside perspective can help transform your efforts from good to great. Hiring a fundraising consultant can help your nonprofit plan and execute a fundraising campaign that helps you reach your full potential. Now, go out and get started!